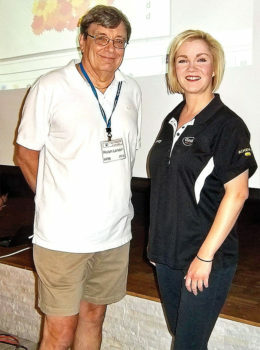 At the September general meeting, Kasey Wemyss and some of the Best Buy Geek Squad provided information about buying a new home computer. They also spoke of the several types of service plans they offer their customers that sound worth investigating. Their presentation was packed with knowledge and energy. We “thank” them for their time with us. First the announcement of Justin Sulhoff of Optiv Security is scheduled to speak on “Secure Online for Seniors.” (That BE us!) It’s so to our advantage to keep abreast of computer dangers so we may safeguard against them. Our learning skills about computers can be expanded by listening to the presentations accessible to us. Our speakers willingly share helpful computer knowledge to the members. Optiv is an advanced, trusted partner for cyber security solutions. Workshops start October 3. To enroll and secure a spot, call or email Bill Phillip, workshop director, at 480-895-8178 or billpsr6@gmail.com. The treat of “trick or treat” this October is the privilege of talking with area residents about our club at the four Community Open Houses. Members, it’s not too late to volunteer to share club information with others at these open houses. It’s also greatly appreciated! 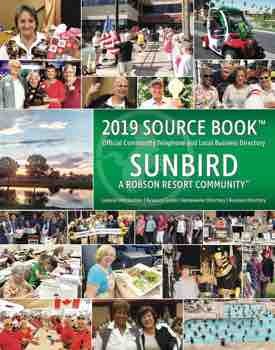 * October 20, Saturday – Sun Lakes Country Club, 8:30 to 11:30 a.m.
* November 14, Wednesday – SunBird Golf Resort, 11:00 a.m. to 2:00 p.m.
We hope to see many of you this year attending the general meetings, taking part in the workshops or browsing the Open Houses. Meetings begin at 6:30 p.m. to 7:30 p.m. at the Sun Lakes Country Club’s Navajo Room, 25601 Sun Lakes Blvd., off of Riggs Road. Come early that first Tuesday of each month at 6:00 p.m. for cookies and coffee and meet other members while the meeting is being set up.